Bell is powder coated steel with imprinted text. Base is made of steel and painted white. Made in the USA. 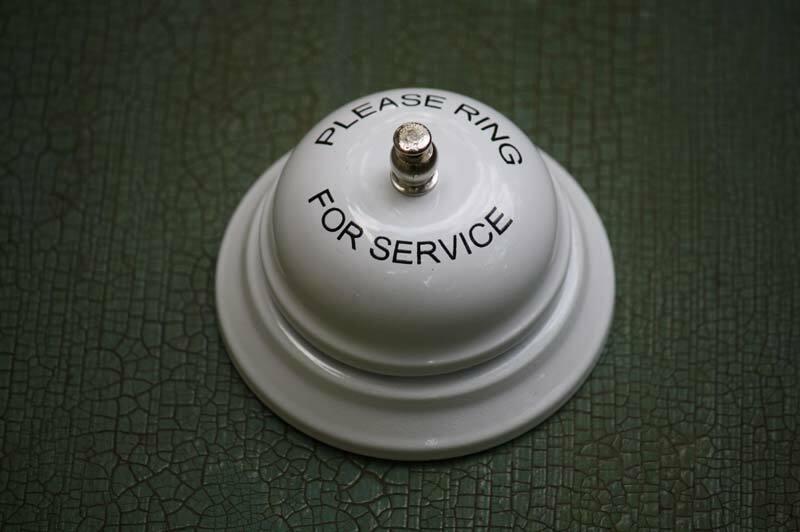 This hotel bell asks guests to PLEASE RING FOR SERVICE. The bell's tone is loud and crisp with a clean white color. Employees will be jumping to service and customers will be taken care of with this quality service bell.